Firstly I would like to thank iFi Audio for sending me the Earbuddy to review. 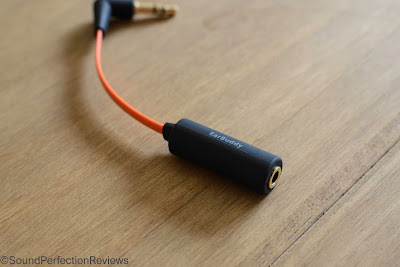 The Earbuddy comes in a plastic box, inside the box is bright orange foam that has spikes like acoustic dampening foam would have. The colour scheme definitely stands out, but it is quite a box box for such a small item. Inside the box you’ll find the Earbuddy, along with a clamshell carry case and a pair of earplugs. On the back of the box you’ll find info about the Earbuddy, and what it aims to do. The Earbuddy is well built, the sockets are tight but there is little strain relief. The cable section is flat cable and feels like it will last well with some care. The main reason I wanted the Earbuddy was to get enough volume pot control without channel imbalance with my more powerful headphone amps, and to see if it would fix the buzz I get when using IEM’s with my Keces S3 amp. And you know what, the Earbuddy solved all my issues, I get much better volume control with IEM’s when using the Keces S3, it also allows me to get good results with lower impedance headphones on my Feliks Audio Espressivo MKII tube amp. 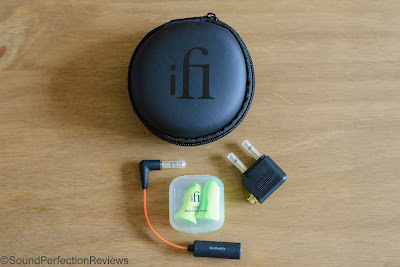 The Earbuddy in my opinion hasn’t affected the sound quality of my IEMs, it offers clean attenuation for when you want to use sensitive headphones with high powered sources. If there was one issue with the Earbuddy, it is that the output impedance is < 2.7Ohms, this means the minimum impedance headphones to be used is 12.5Ohms. This is only an issue with a few select IEM’s, and not an issue I have come across. 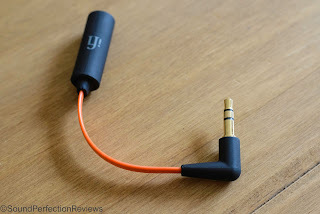 Conclusion: The Earbuddy works, plain and simple. It allows me to use sensitive IEM’s with powerful headphone amps, it will also allow people to use higher volumes out of their phones and thus increasing the dynamic range and sound quality. It’s a well thought-out little adaptor, and one that you cannot go wrong with for £20.